Mr. William Earl "Bill" Crouse,75, passed away Wednesday, January 23, 2019 at his residence. Bill was born October 20, 1943 in Bennettsville, to the late Arthur Platt & Annie Driver Crouse. He was a graduate of Bennettsville High School class of 1963. 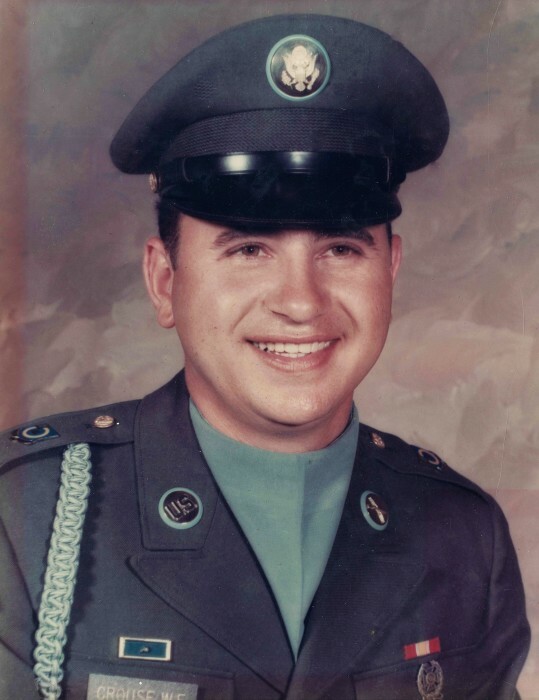 Soon after graduating, Bill enlisted in the U.S. Army and served his country honorably during the Vietnam War. For most of Bill’s working life, he was the owner and operator of Crouse Union 76 on Main St. in Bennettsville and later retired from the South Carolina Department of Labor, Licensing and Regulation. He was a lifelong fan of baseball, football, and NASCAR. Most of all he loved Dixie Youth baseball, starting out coaching his son’s team and continuing as commissioner, umpire, and coach to numerous Jaycee and all-star teams for many years to come. Bill leaves behind to cherish his memory; his son, Raymond Crouse (Mary) of Cheraw; his daughter, Amy Crouse Sherman (Ethan) of Minturn; a brother, Eugene Crouse of Florence; grandchildren, Cameron Crouse, Jake Crouse, Caroline Crouse, Avery Sherman and Aubrey Grace Sherman; his companion Cathy Johnson and a host of nieces and nephews. He is preceded in death by his parents listed above, brothers; A.P. Crouse Jr., Guy Crouse, Thomas Crouse, Ray Crouse, Howard Crouse, sisters; Ruby Crouse Perdue and Marie Crouse Basto. A memorial service will be held at 2:00 P.M. on Saturday, February 2, 2019 at Bethel United Methodist Church in Bennettsville with the Rev. Vaughan Chichester officiating. A visitation will take place following the service. In lieu of flowers, memorials may be made to Bethel UMC Building Fund c/o Barbara Leviner at 3624 Rocky Ridge Rd. Wallace, SC 29596. On-line condolences may be made @ www.bfhbennettsville.com. Burroughs Funeral Home is honored to serve the Crouse family.